Yesterday I had a PPT Presentation in my office. However, night before; I switched my computer on to perform a few edits on my PowerPoint file. But to my utter shock, I couldn’t find the file. On pondering, I realized that I had been deleting unnecessary files on the Desktop and I might have had deleted my PPT file along with other files. I checked the Recycle Bin but could not find the file. I was so panicky that I called up a friend and colleague for help. He said that that there were methods on How to recover deleted PowerPoint Presentation file. Using them I got back my file. BUT WHAT GENERALLY CAUSES DELETION? 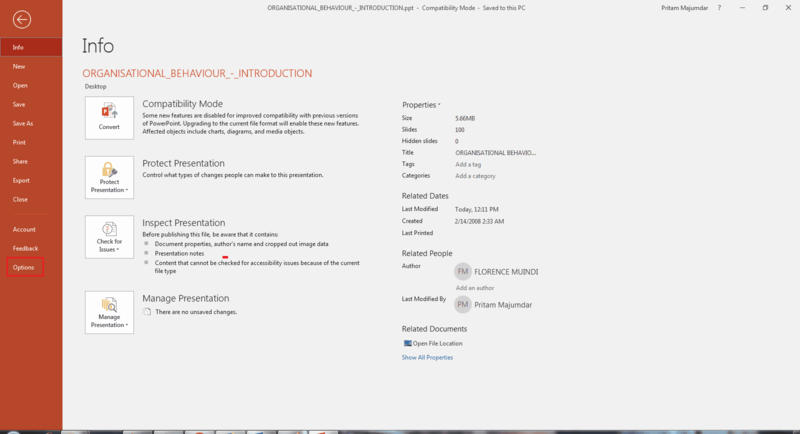 Broadly speaking, a PowerPoint File might be deleted by 5 different causes. They may be deleted either due to a sudden crash or a virus or malware attack. 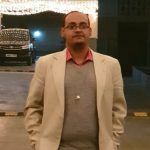 This deletion might be due to improper PPT exits, sudden power failure or battery drainage or even due to Microsoft Office corruption and Errors in the same application. As professionals all of us seem to have come across PowerPoint one time or the other. Using this application, you can easily include Animations, banners, graphs and so on. The application has countless benefits. However, it is not 100% safe from deletion or loss. Our present topic aims to get to the depths of on How to recover deleted PowerPoint Presentation file. 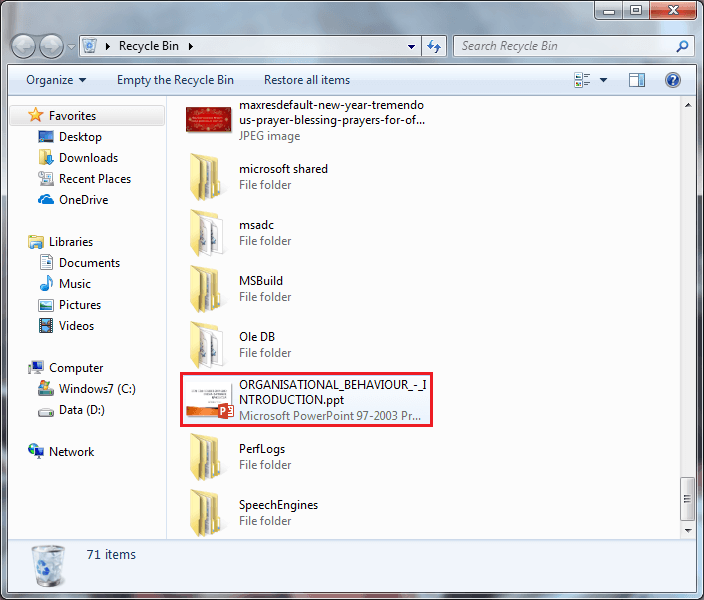 Go to Recycle bin and search for the PPT file you wish to recover. Select and then right-click. Click Restore. Copy and Paste Address and Open it. Select the desired File from it. Fixes the Windows which might be corrupt and the errors resulting from them (in both physical as well as logical devices). 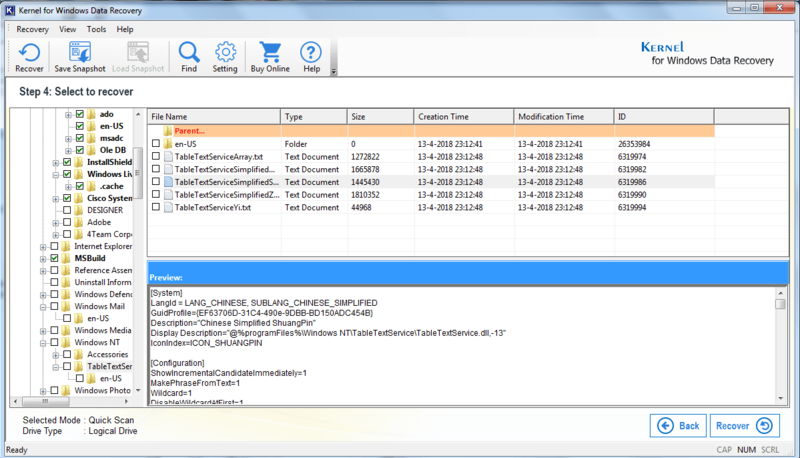 It extracts all files which your highly-prized ones might be, without altering them at all. 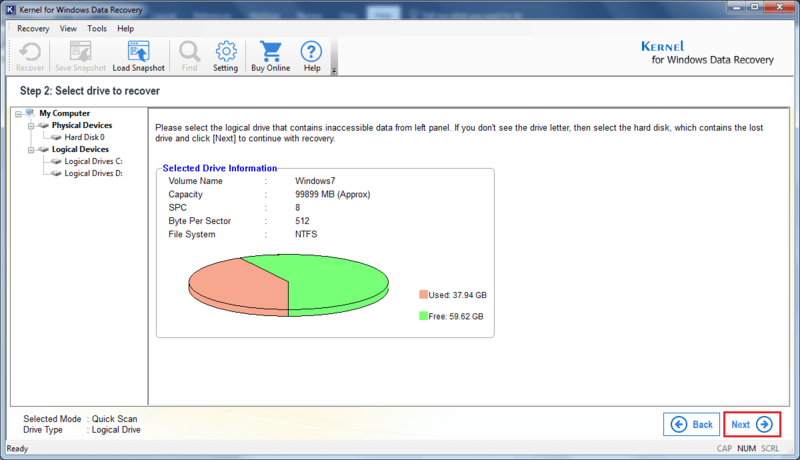 It recovers all data irrespective of them being permanently deleted or them being large sized. After the searching process is complete, a dialog box displaying pops up that prompts you to utilize “Deep Scan” mode (if you do not find desired result). Click Recover. 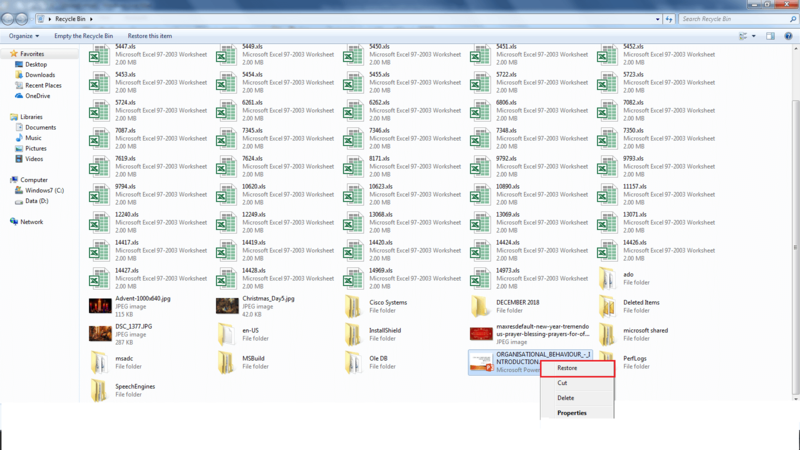 Browse for the Folder where you wish to save recovered file(s) and Click Ok. 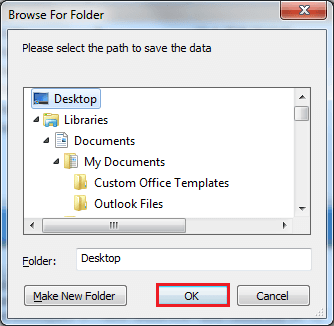 Note: A new window stating that in case you don’t find the files as well folders that you require, you need to go back to the first step and use Deep Scan. In case you are looking for a third-party tool to recover your PPT files that you might have had deleted, do not forget to check out Kernel for Windows Recovery. For more information, connect with them either via online chat support or via phone call or even via email. 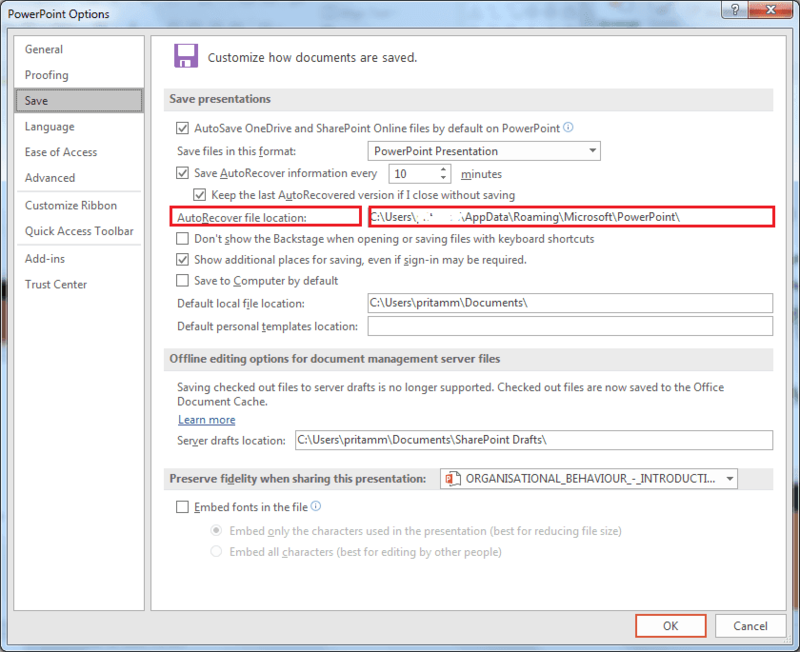 Panicky about How to recover deleted PowerPoint Presentation file? Panic no more!